The definitive directory of famous Delhiites. 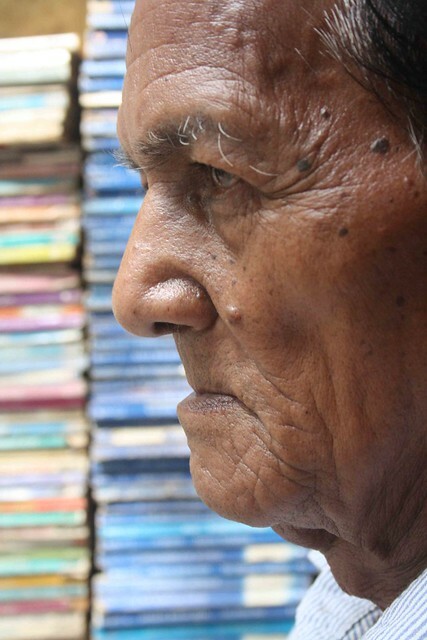 Chander was six and already motherless when his father Sardari Lal (d. 1970) had to leave the hometown Gujranwala, now in Pakistan, in 1947. They flee to India as Partition refugees. The family, which included Chander’s sister Avinash Kaur (d. 1958), lived in various towns in North India – Ambala, Bhatinda, Panipat – before settling in Delhi in 1958. Four years later, Chandar married Sharda Rani (d. 2007) from whom he has two daughters, Renubala and Sunita. They live in Ambedkar Nagar, south Delhi. 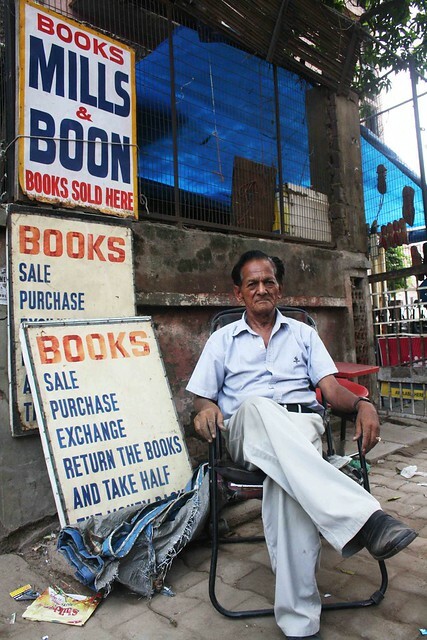 After graduating from a government high school in Lodhi Road, Chander opened a second hand bookshop in Defence Colony Market in 1965. In the beginning he chiefly stocked thriller novelists such as James Hadley Chase, Nick Carter and Alistair MacLean. 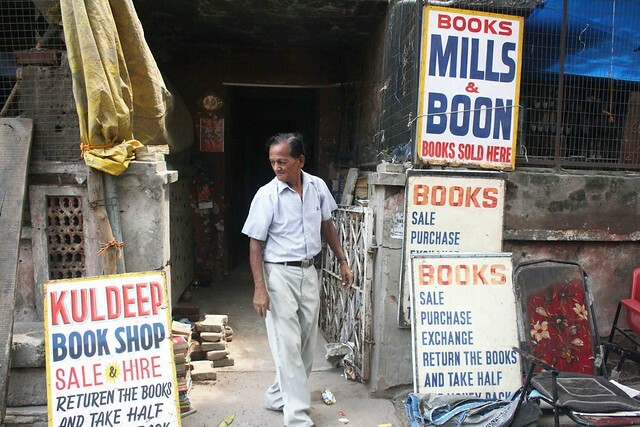 He would get them from the discards of private libraries and also, of course, from second-hand book dealers in Daryagnaj’s Sunday Book bazaar. The customers were, and still are, mostly college students, especially girls, looking for bargains in crap literature. With the advent of TV and videocassettes, the business dimmed. 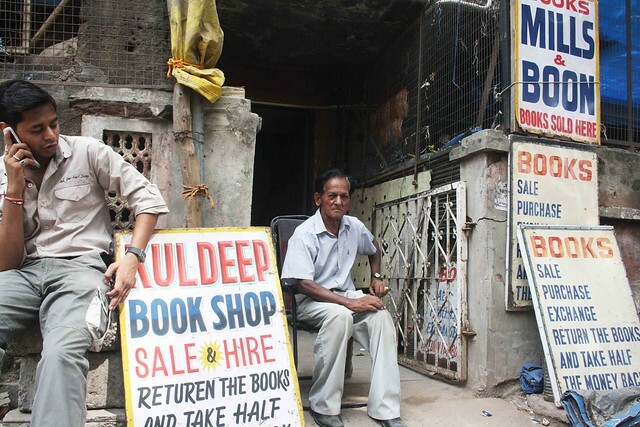 Chander closed the Defence Colony establishment and opened a stall of MBs in South Extension in 1985. 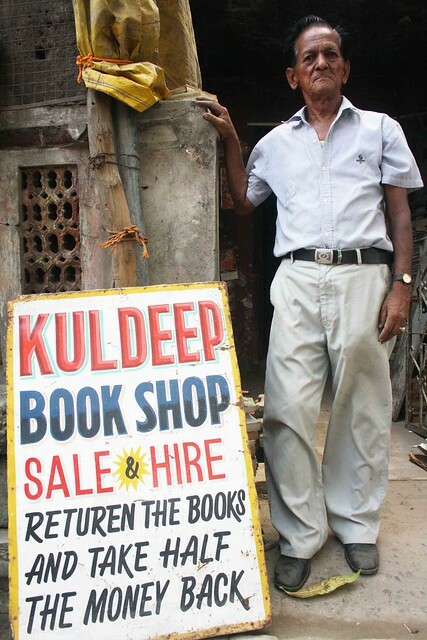 There he has become as much of a landmark as Bengali Sweet House across the street. Commuting in DTC bus route 222, he reaches his stall at 11 am and leaves for home at 10 pm. 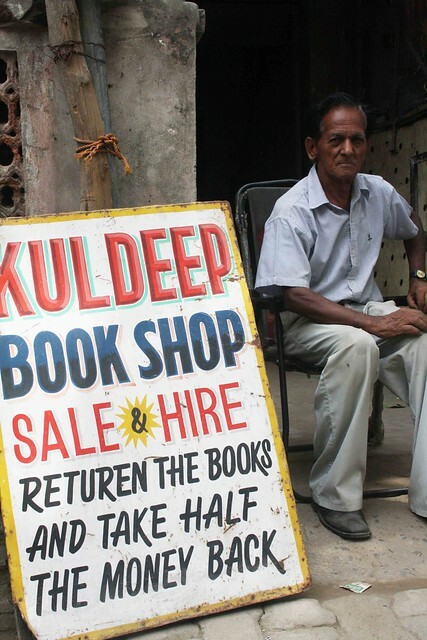 He does not read books. Can you please explain what do you mean by “crap literature”?it does not mean that if you read “difficult,high-level, British” novels,you are allowed to bash people who read simpler ,easy literature.. At least they are trying..
Have you ever felt awkward that you never liked Chetan Bhagat?or you just show like that cause you have to give a feeling of inferiority.i accept that mr bhagat language and style of writing is not upto your mark but still an indian can always connect to his work.